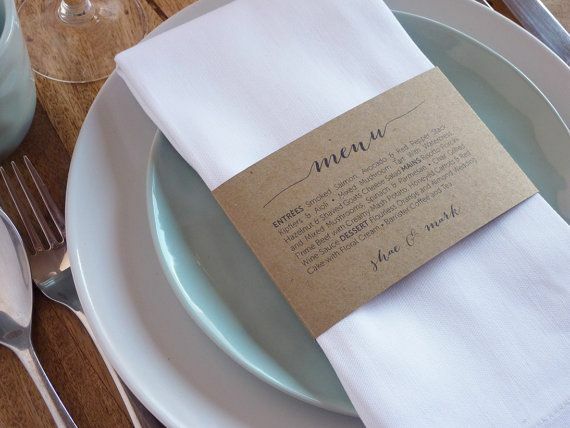 What a great, elegant and clever menu idea we found on Pinterest! They have managed to wrap the actual menu around the napkin; adding a graceful and stylish look to the guest tables. Speaking of Menus, we are in the process of uploading our new Menus to our website! We’ve changed and added some new items, such as a Tapas Bar. Tapas are a wide variety of appetizers, or snacks, in the Spanish cuisine. An announcement will be made in the near future when the Menus are up.